A young cellist who takes music lessons over an unreliable regional Skype connection has won the inaugural Newsboys Foundation Regional Music Award. Winner Charlotte Kube, 15, lives on a property between Nhill and Jeparit in north-west Victoria and is in Year 10 at Nhill College. Charlotte began cello lessons in Queensland at age seven and joined the local string orchestra for four years. Since moving to Victoria with her family, Charlotte has attended cello lessons on trips to Horsham, participated in three Orchestra Victoria mOVe workshops in Hamilton and attended the 2015 Melbourne Youth Music Summer School. She has been having lessons with Sarah Cumings from Orchestra Victoria via a Skype connection with very low bandwidth. Though her access to musical opportunities and training is limited, Charlotte has completed her 4th and 5th grade AMEB exams and shows a natural talent for music. As part of her $5,000 prize, Charlotte will travel to Melbourne for a week, have face to face lessons with her cello teacher, receive complimentary tickets to concerts at the Melbourne Recital Centre during that week, be offered mentoring/shadowing opportunities with the Melbourne Recital Centre’s artistic and production staff and get direct behind-the-scenes access to industry professionals. 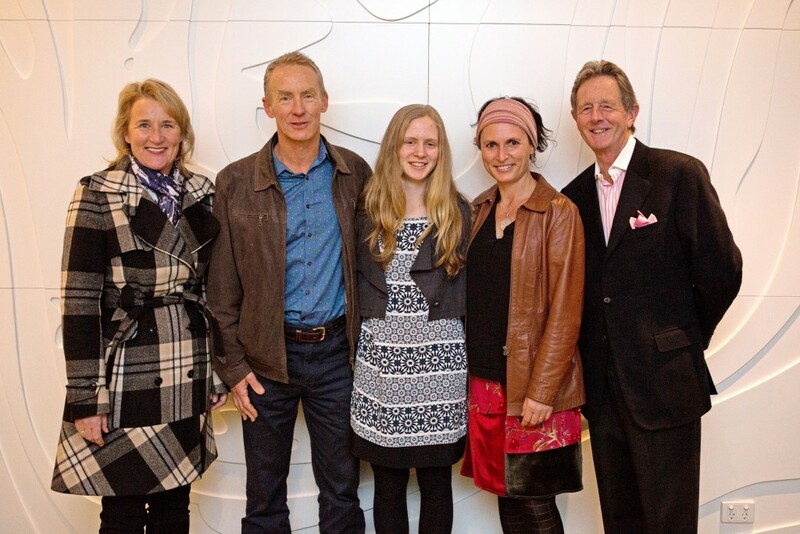 Charlotte’s reflections on winning the award can be found on Melbourne Recital Centre’s website. Photos of Charlotte’s visit to Melbourne can be found on Melbourne Recital Centre’s Facebook album. 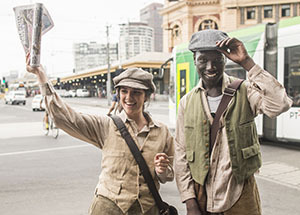 The Newsboys Foundation Regional Music Award is awarded in partnership with the Melbourne Recital Centre and forms part of the MRC’s annual Bach Competition. Inaugural Newsboys Foundation Regional Music Award winner Charlotte Kube (centre), pictured with (from left to right) Newsboys Foundation CEO Sandy Shaw, her father Andrew Kube, her mother Amanda Kube and Newsboys Foundation Chairman Zich Zichy-Woinarski QC.